Want to take care of your skin this season? It’s all about going organic. What you put on your body might not seem of the utmost importance now but as you get older, skin care products can take a serious toll on the state of your complexion. The majority of standard skin care vendors pump their products full of any number of chemicals and after some time, they can begin to have adverse effects on the state of your face. Your skin is the largest organ you have, so it pays to take care of it as soon as you can. Choosing an organic skin care range as part of your beauty regime can make all the different to how you look and feel. With these products by your side, your skin will be glowing for all to see! Every skin care routine needs a good cleanser and if you’re trying to go organic, look no further than the Juice Beauty Cleansing Milk. A multi-purpose skin cleaner, the cleansing milk can help to rid your complexion of the day’s oils, sweat and makeup in one fell swoop, all while giving your skin a serious condition. Ingredients like grape seed oil and vitamin E will give your skin that plumped out, hydrated appearance and chamomile will help to calm down any nasty outbreaks. Sometimes, we all need to give our skin a little extra love and care and when the seasons are changing, there are few products as effective as a good old fashioned face mask. This organic offering comes in powder form, giving you the chance to put together your perfect consistency by hand. Loaded with acne fighting enzymes, the Soap Girl face mask works wonders on problem skin, helping to clear things up in no time at all. Skin is encouraged to shed built up sebum and moisture production will be balanced out. Pretty soon, you’ll have the complexion you’ve always dreamed of. A good serum is an essential part of any skin care routine and if you’re looking for a great organic offering, this Kensington Apothecary offering is for you. Formulated to fight against the effects of pollution and stress, the serum works particularly well for those who live in the city. Full of kombucha, the serum targets free radicals in the environment, protecting your complexion from all the nasty stuff in the air. A multipurpose product, the Evan Healy Facial Polish will help to cleanse, tone and exfoliate your skin in one fell swoop. While other exfoliating products might irritate the skin, this one is formulated using gentle plant-based powders for a more subtle effect. Dead skin cells are emulsified and removed without irritating the layers below, giving you a complexion that glows effortlessly. If blemishes are a problem for you, the Thayers Body Bar is a great organic product. Packed full of powerful witch hazel, the body bar works wonders against nasty breakouts while helping to keep even the most sensitive of skin in check. The soap bars can be used over the body, helping to gently work on any problem areas that might have built up. While the witch hazel will help to cut down on sebum production, the body bar is still gentle and moisturizing, leaving you with a complexion that is both smooth and free from blemishes. Shaving your skin can cause any number of problems, even if you don’t suffer from sensitivity. When choosing a good soap to slot into your routine, it pays to go down the organic route in order to cut down on damage and rashes. Dr. Bronner’s Lavender Shaving Soap can work wonders on any routine, suitable for use on both the legs and the underarms. Choosing an organic shaving soap is perhaps the most important skin care choice you can make as products like these penetrate deeper into your skin than others. Packed full of lavender, this one is as gentle as they come and lathering up a good serving of this in the bath will leave your skin feeling silky smooth. Getting into a good routine is all about making habits for yourself now and when it comes to your beauty regime, it’s no exception. The type of regime that you follow today can make all the difference for the future and even if you think you’re doing the right thing, it can be worth shaking things up from time to time. 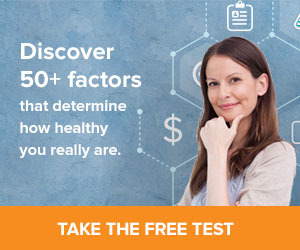 No matter your age, there are a number of basic steps that you could be taking in order to make things easier for yourself. Once you pick these basic habits up, you might wonder how you ever did without them before! Thought that beauty had to be hard? Think again! Often, it is the simplest steps that are the most vital and when you overlook them in your routine, you make things harder for your skin in the long run. Taking off your makeup each night before you go to sleep is an essential step of the skin care process and will ensure that your pores are cleared from the day’s buildup. To get really glowing skin, remove your makeup and cleanse your face afterwards. Cleaning your face twice will ensure that any small traces of product are removed and your skin is sparkly clean before you apply any sort of moisturizer. No matter how hard you feel, try not to skip this step; you will thank yourself for it later. The buildup of dead skin cells can lead to a tired, dull complexion. It’s time to put a stop to it! Exfoliating your skin on a regular basis can help to scrub away any impurities and remove that dry, scaly buildup that’s affecting the look of your complexion. It’s not just about your face, either, and by exfoliating all over your body, you can boost blood circulation and even minimize the spread of cellulite. Try using a dry brush or a loofah in your shower to scrub the dead cells away. Be careful only to do this every few days, however: over-exfoliation can make your skin feel more sensitive and sore. Are you fed up of lusting over other people’s hair? It’s worth turning your attention to the types of products in your shower. Your hair should be approached like your skin; you wouldn’t put any old products on your face, so why would you do the same thing to your hair? Depending on the type of hair chemistry you have, you should be choosing a product that is going to counteract any issues and improve the health of the follicle. If your hair is damaged, try turning to products with hydrating qualities. If, however, you suffer from greasy hair, a cleansing shampoo might be best for you. Think about what you want to improve and try streamlining your search according to that. You never know how much you can change. 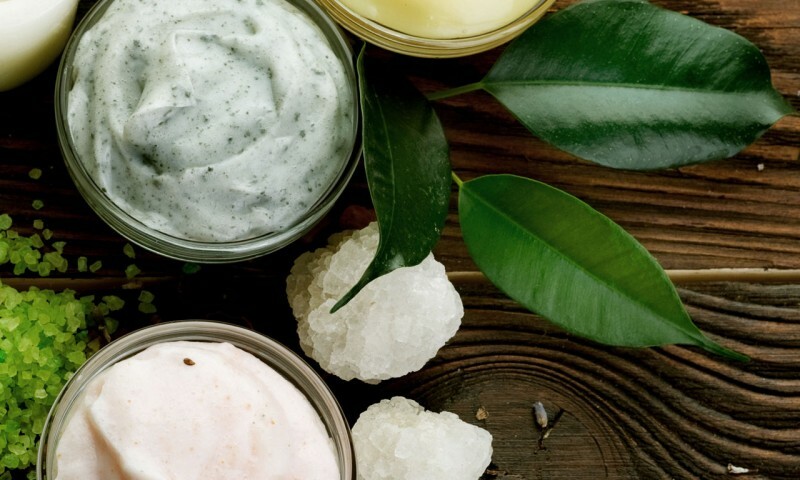 Moisturizing your face and body is a vital step when developing a beauty routine and yet, so many people choose to forgo it in favor of other things. Keeping your skin well hydrated on a daily basis can give skin a plumper, fuller look, giving you a boost even when you’re feeling tired. While you’re lathering up, it’s worth checking that your facial moisturizer comes with an extra dose of SPF. Even if it’s not a sunny day, harmful UV rays come into contact with your skin and the less you protect yourself against them, the more chance you stand of damaged your cells for the worse. Choosing a moisturizer with added SPF makes things that bit easier, helping you to solve both steps with one product. With so many new beauty products hitting the shelves, it can often be difficult to know what trends are worth following and what aren’t. When it comes to applying a serum, it can seriously boost your beauty routine. Serums can quickly add a dose of essential nutrients into your skincare routine and better yet, they are often absorbed in a matter of seconds. The products contain active ingredients to overcome a whole roster of skincare issues, so make sure you choose a product to work alongside your routine. You can have glowing skin in no time at all! As you get older, your thoughts might turn to how you can enter your later years with grace. While you might not be sure what the best cream to use might be, there are a group of people with all of the details you need to know. Celebrities get some of the best insight into the beauty world and when it comes to looking young and fresh, they’re way ahead of the curve. Want to look your very best, no matter what your age? It’s time to listen to the experts! It’s fair to say that Demi Moore looks better than ever. If you thought her secret to looking so young and fresh was a closely guarded secret, however, think again. The star is said to follow a strict regime of piling on the moisture, hydrating her skin no matter the hour. Taking the time to cleanse and moisturize your skin at the start and end of the day can make all the difference to how you look over time. Even if you feel ready to hit the hay, taking the extra 5 minutes it takes to throw on a little moisturizer can help your skin to look fresh and plump, even when you’re feeling tired. As you get older, your hair color can shift and fade and if you want to avoid dyeing your locks, there are some natural steps you can take. If you’re a redhead, like Nicole Kidman, try rinsing your hair with cranberry juice when you’re in the shower. The drink might help to boost your color and keep it looking vibrant as you get older. And if you’re a blond? Kidman recommends dousing your locks in champagne at the end of a shower. While this kind of splurge might only be occasional, it can really make a difference to your tone and shade. The kind of haircut you have can define how the world sees you; just ask Jennifer Aniston. Getting the right kind of cut and color to match your skin tone as you get older can make all the difference. What suits you at one age might not necessarily continue to bring out your best features as you get older, so make sure you pay attention to your skin tone and prominent features. While Aniston might have opted for a similarly shaped “Rachel” cut over the years, she changed the style as she got older, lightening up the color to draw attention to her eyes. Sun-kissed highlights and soft layers frame the face, lifting what nature already gave her! It’s not all about beauty secrets when it comes to anti-ageing. By moving your body in the right kind of way, you can keep yourself looking supple and in great shape as you get older! Celebrities like Diane Lane have turned to yoga as a way of looking their best and the results are clear to see. The muscle strengthening activity keeps the muscles toned and supple, helping the skin to retain its elasticity. Helping you to feel more relaxed, yoga can also prevent stress from showing up in your complexion, giving you a fresher, more youthful appearance! While your daily routine should be enough to keep you looking at your very best, there’s nothing wrong with indulging yourself a little star treatment from time to time. Celebrities like Halle Berry don’t look like they do by chance and by visiting a master facialist every once in awhile, she continues to look at her very best. 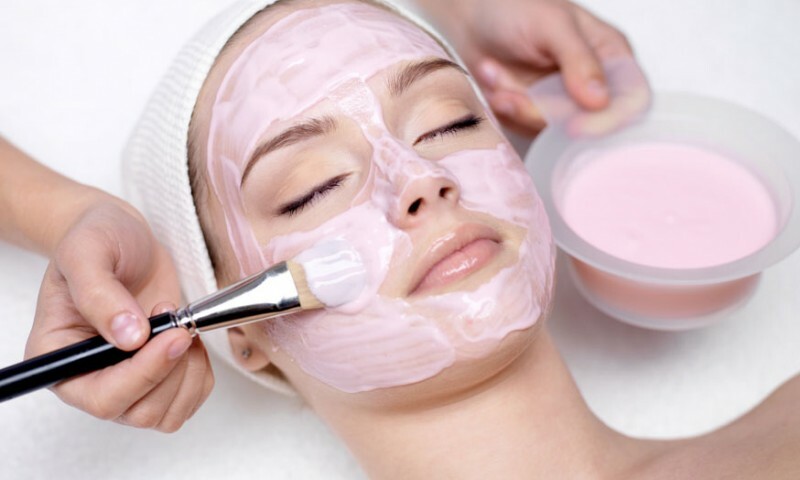 Treating yourself to a specialist treatment every few months is a great way to give your skin a natural boost and help it to look revitalized. Doing so at the start of every new season can help even more, making it easier for you to adapt to sudden changes in temperature. Water is great for practically every part of your body, not least the appearance of your skin. Getting your fill of the stuff can help to boost your skin’s appearance and keep you well hydrated as you get older. Stars like Naomi Watts understand the benefits of drinking enough water. Balancing a healthy intake of water with a bi-monthly facial habit, the actress keeps her skin looking soft and supple with barely any effort. Now that’s something we can all aim towards!